Though tattoos have become more of a social norm in many western countries, not all areas of the world agree with people tattooing or getting tattooed. Due to religious and cultural reasons, tattoos can get you deported or put in jail. In some countries it is completely illegal and in others it is just looked down upon. Tattoos have long been associated with criminal culture across East Asia for decades and although some have changed their views, there are still some that have the same mind set. Below is a list of a few countries that are not very tattoo friendly. Though tattoos are not illegal in Japan and they are widely recognized as being one of the birthplaces of the art, being tattooed still carries a negative stigma in some circles. Due to this there are some places that ban those with ink to enter. Places such as gyms, bath houses, and even resorts have signs up telling those with tattoos they are not welcome. Many bath houses have started to relax their restrictions and allow people to cover their tattoos with stickers. Tattoos are looked at in a negative light in Vietnam. 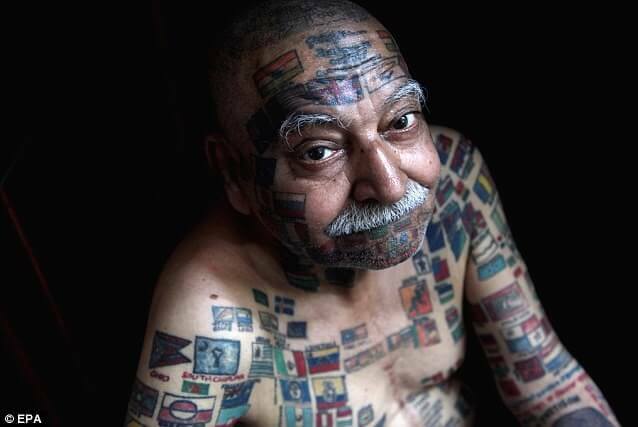 Owning or operating a tattoo shop is illegal and having any body art, at all, will make you stand out. Tattoos are still seen as being associated with a criminal element by many, although attitudes have been changing. The South Korean government views tattoos the same way as North Korea. Only medical doctors are allowed to apply tattoos, and those who are caught tattooing face serious consequences including the possibility of jail time. However there is still hope for the stigma to change. An organization called the Korean Tattoo Artist Association (KTAA) are trying to fight for the industry. If you want to know more about the fight to legalize tattooing in South Korea check out this article that details what you can do to help artists in that country. The tattoo scene in North Korea doesn’t really exist, but it is not uncommon. It is, however, illegal to give or receive a tattoo in North Korea unless you are a certified doctor. Most of the tattoos that are given by anyone besides a doctor are commonly done underground or discretely at someone’s house. This is not the case in the Untied States however. Tattoos are becoming increasingly more mainstream. This is true in Northern Colorado cities as much as anywhere else with Fort Collins, Loveland, Greeley, Longmont, Johnstown, Windsor, Lakewood, Denver and Colorado Springs having strong tattooed populations. So what does this all mean? It means we’re progressive. Or it could mean people don’t worry so much anymore about the permanency of tattooing. With AMAZING companies like Loveland/ Fort Collin’s own LaserAll to remove those tattoo mistakes with their AMAZING laser tattoo removal technology!